There is nothing like a vacation to really get away from it all, but the most relaxing vacations we have been on, offer the most simple things that create a heightened experience. 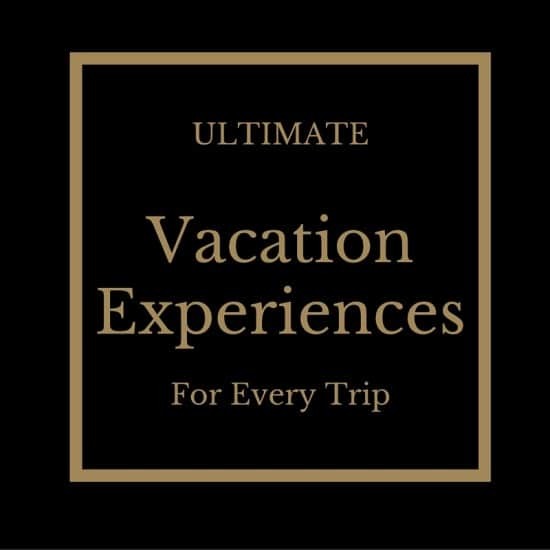 While these are Ultimate Vacation Experiences For Every Trip the ultimate in experiences are not things you can put a price tag on, rather they are available on every vacation setting in some form and cost nothing. Honestly, travel is not always about the most expensive, prestigious place, but often what the area and surroundings can offer. Vacation is about time away from the push-back we have to do each day to come about in our fast-paced world, it is a time to reconnect with our family, our partners and our animals. There are ultimate vacation experiences for every trip that allow you to lavishly live travel out loud and in fact, you might have already experienced them and not even have realized. Vacations are about experiences, indulgences in what we don’t do every day: from actually listening to our kids when the talk and putting down the mobile devices to sipping coffee rather than chugging it. 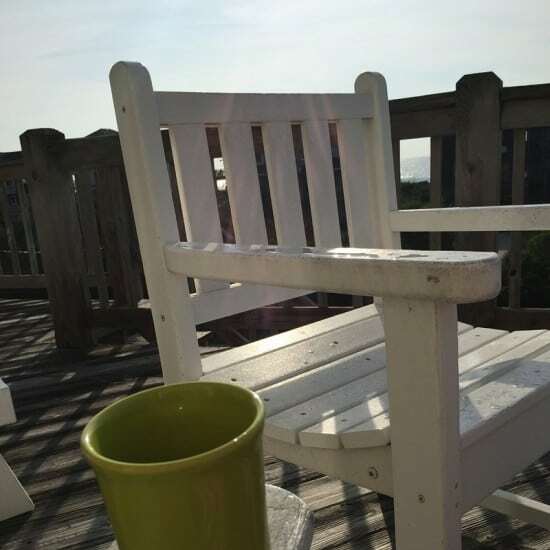 A chair with a cup of coffee is just about the closest thing to the ultimate vacation experience when it is on a deck, or a lanai, patio, or balcony wherever you are staying. Trust me, five minutes a day in the well-placed chair, locked off from the world, watching bees buzz by, birds fly overhead, waves crashing, people walking or just watching the clouds floating by is something money can’t put a price tag on. When was the last time you ordered or made a cup of coffee and actually tasted it? Work and its constant pace seem to override what is in the cup and you drink rather than taste, here is your chance to actually savor the bean, while seeing the world unwind. The ultimate vacation experience requires at least one of these moments no matter where you travel and you will be rejuvenated. While I love family travel, I love the fact that everyone tires and I seem to have boundless energy. I am not sure what spurs me on, but I keep on moving. My parents always took us on vacations and when we got there, it was not about the sleeping in, rather the getting up, getting out and seeing what adventure we could climb on into. Believe me, it is true and so cliché, that the early bird catches the worm because so many times we got up and went to an attraction whether renting boats for adventures or getting to a very popular attraction and we got in, while others were turned away. Which leads me to The Sunrise effect, which is another ultimate in vacation experiences that you can savor on every trip, anywhere you go. Getting up early as my body does while we are away but does not like to do when we are home is my opportunity to watch the world simmer with its new day. I can not tell you how gratifying it is to watch the sunrise and evolve into a day that will become an adventure. Now, I will tell you as soon as I want the kids up I stir the coffee around and make a little noise so we can get to where we need to, but NOT before I take that moment to myself. By far, the most beautiful sunsets I have ever experienced are on cruises. The sunset on reflecting against the ocean just sends chills over my whole body. The moment when the sun kisses the crest of the ocean brings closure to an already perfect day. We have also experienced awesome sunsets on the Chesapeake Bay, which are breathtaking as well, just as I said, these are the ultimate experiences for every trip. Probably my favorite, even with sunburn (yes I tend to overdo it a bit) is a beautiful, long shower with hot water that steams everything in its pathway up! YUM is all I can say. This is the most sanctifying moment of a day, washing off the day, and entering into the next moment and the water is calming and relaxing. Did I mention this is the ultimate experience that can be had on any trip? We are all guilty of living off of our mobile devices and with that comes the fact that we often half-listen and then approve what we really did not hear. My kids often tell me I agreed to something when I was on the phone. Now they seem to hit me up when I am at my busiest and can hardly think, so perhaps I do agree, but to have the ultimate experience for every trip, get out from behind your mobile devices and watch because before you know it, life moves on and so do the kids. This is my favorite photo because it shows and tells me so much that it is the ultimate experiences providing me a happy family. The kids did not think twice when the photographer asked them to pose and stack, they jumped like a sandwich and giggles came served up as a side. The kids are happy, getting along and will remember the photo forever because I snapped this one, you see MOM was paying attention and that is priceless. There are no price tags for the ultimate in vacation experiences for every trip. It is not on a beach, or a particular location, it is about the little things that you might experience every day but not really capture: the sunrise, the sunset, the kids, a chair and a cup of coffee. Every day is a celebration of life, but work holds us down from indulging and experiencing these awesome things the way they were meant. Slow down, enjoy the pace, lavishly indulge in the ultimate vacation experiences for every trip while you are away. Other travel articles to give you a push to get out there and pack those bags. Sunrises and sunsets are always a highlight of any trip! Seeing the sunset in Santorini is still one of my favourite memories. Coffee, sunrises and sunsets pull me in each and every tip. I need to print this out for our next adventure. Lots of great information. Coffee. Chair. Sunrise. Yup, totally awesome in my book. I definitely can relate to the pay more attention to the family aspect. That is what I loved most about our last vacation!! I thought I was the only one who enjoyed endless hot showers. One of the first things I do is check the shower pressure and make sure to enjoy my shower moments while on vacation! Coffee and a hot shower sounds like heaven to me. On vacation, those things are even sweeter! 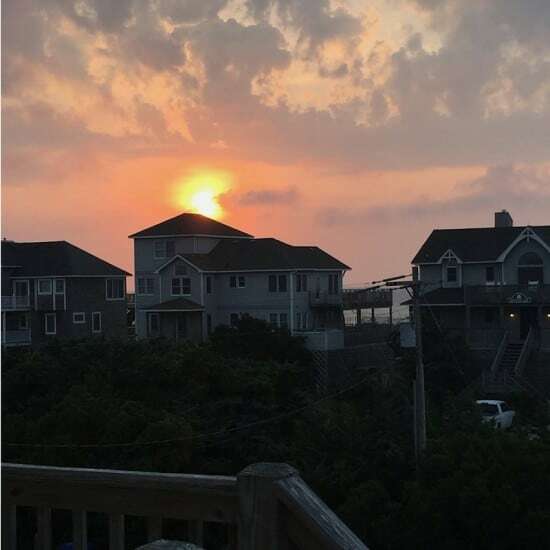 I try to experience seeing the sunset whenever we are on vacation. I even take photos of it from wherever we are staying. I love going on vacations with my parents and siblings and husband. We have SO much fun. It is a blast. Watching everyone interact is so much fun. Ooooh endless hot showers alone sounds like a vacation to me! I have three little boys and some how they always hear when I’m taking a shower and run up to talk to me about something. Sitting with my coffee watching the sun come up on vacation is the best! No stressing about school or rushing around. Just enjoying the time together. I am with you on the endless hot showers! At home we have to be quick if we both want hot water so staying in a hotel where the hot water never ends is bliss! I love this post because that means I can duplicate these special moments AT HOME when a vacation isn’t possible. It’s a matter of taking the time to enjoy these moments, wherever you are. I agree about all of these but especially the coffee! Vacation is one of the only times that I can actually sit and really enjoy my coffee/meal/dessert, etc! Its one of my favorite parts of vacation! The first thing I do every morning is put on a cup of tea and sit and watch my birds. No electronics no notebook just my tea, the birds and my head. It’s the best way to enjoy my morning! I have never done vacation to get up and see the sunrise but I should it’s been forever since I’ve seen one on purpose!! Sunsets though totally worth it! I love nothing more than sitting on the porch of my hotel room and watching the ocean with a cup of coffee. Great tips for traveling! Whenever we go on a family vacation, we make sure to get up early, go out and explore. I love watching my family interact and enjoy. I love the peacefulness of this type of vacation! Being in nature, or on the lake is definitely my favorite, and listening to the loons at night. Heather recently posted..Why I Stopped Knitting plus an Amazing Book! You missed an important one!! EVERYONE sleeps in because they are so tired from a full day of activities. Although that would mean you miss the gorgeous sun rises, but that is OK with me. Ahhh, I love all of these experiences when I’m traveling. Sitting out on a back deck or patio, even though I’m not a coffee drinker, is such a peaceful way to start or end the day! karen recently posted..Surprise Sale! Up to 40% off Major Designers! This sounds like the ideal way to relax! I love the chair with the coffee idea. Being together as a family is the best part. The last two are my favorite. Endless hot showers and watching your family without having to worry so much is definitely on my list of things that make me feel like I am on vacation. I agree that it is easy to get caught up in our phones..but at the same time I love having them on hand to capture memories. I love the photo you took of your family at the beach! This is such a great posts 🙂 I definitely agree, a chair in a perfect location with the perfect cup of coffee would make for an ultimate vacation! I love each on this list, especially the sunset. All of them is so relaxing. I’m glad you shared it. Thanks! I always take a picture of sunrise and sunset! Something about how different and how familiar they are no matter where in the world i am makes me happy. What a great article. I wish everyday is vacation day! Thanks for sharing. I love hot showers and watching the sunsets too, it is beautiful seeing it dip over the majestic ocean. I agree…when we go on a vacation – getting up early to make the most of the day is something we often do. We like to try to get in at least one adventure somewhere in there, and that takes a bit of planning and good timing. What a great post and reminder that the simple things are some of the best things. Coffee, sunrises and sunsets really get me excited. thank you .. I do love the lavish life,,,, but so often it is SIMPLE that is so lavish especially when it comes to the ultimate vacation experiences for every trip. It is beautiful indeed when you see your family interact! Just have to leave phones in the hotel! I can’t wait to travel with my family this summer!!! These are good points, especially the chair with a cup of coffee, the sunrise and enjoy a moment with your family! I have never really taken a vacation. Your post sure makes me want to take one even if it is just down to the beach down the street. you can take a vacation right at home, just grab a patio chair, kick back and relax.. .it’s the small things. These are the things that make the travel worth while, especially when you see how much your kids are enjoying. That’s so rewarding. I can’t wait to go on vacation. To get away from everyday worries and stresses is a blessing. Being able to enjoy time together is priceless. I love the family part, because its true that only on vacation you really DO watch your family, its amazing how they scream and laugh and have fun <3. You dont get to see that everyday. The part about living in our phones is so true. I spend 50% of my time in my phone and 50% feeling guilty about it. Only rule of vacation is no devices. I agree with you on all points. And most especially, the chair with coffee. Clever! The chair and coffee is so true. I like to go down to the coast and it is about the first thing I do every morning – sit out with a coffee and look at the ocean. Coffee just tastes better on vacation. Great food is another that I like. I love that each item on your list involves enjoying the moment and enjoying some of the simple things that usually end up overlooked. I love that each item on your list involves enjoying the moment. I love how each item on your list involves enjoying the moment. There is nothing like watching your family interact. Makes for some great memories.